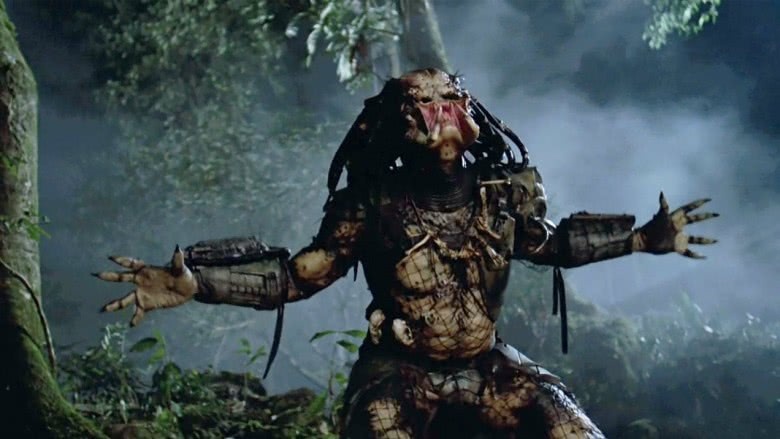 Shane Black's The Predator is quickly becoming one of the most anticipated films of 2018, but unfortunately, it looks like we'll have to wait a little bit longer before this sci-fi sequel hits theaters. According to Collider, 20th Century Fox has pushed the film back from February 9 to August 3. Sure, that means The Predator will get a nice release date during blockbuster season, but that also means we're going to have wait a couple of more months before we get to see Boyd Holbrook throw down with those intergalactic skull collectors. Interestingly, the new release date means The Predator will find itself up against some stiff competition, such as the Will Ferrell-John C. Reilly comedy Holmes & Watson, not to mention an unknown Disney film that might possibly be the live-action version of Aladdin. Plus, The Predator will be showing up at cinemas just seven days after Tom Cruise shows off his latest death-defying stunt in Mission: Impossible 6. Will the R-rated action flick be able to hold its against the combined might of Cruise, Ferrell, and the House of Mouse? While it's difficult to predict these things, we're going to say The Predator will put up a pretty decent scrap. After all, the film is being directed and co-written by the guy behind Lethal Weapon and Iron Man 3, plus the movie is packed with some pretty amazing actors, like Jacob Tremblay, Keegan-Michael Key, Sterling K. Brown, Olivia Munn, and Trevante Rhodes. And in addition to all the guaranteed gore, the film has been described as "wickedly funny," which is exactly what you'd expect from a screenplay written by the guy who penned Kiss Kiss Bang Bang and The Nice Guys. So while we're all waiting to see the Predator back in action next August, be sure to check out our list of actors who refused huge Marvel roles, including one star who turned down the opportunity to work with Mr. Black himself.